We have experience with the ESRI suite of GIS products going back some 15 years. 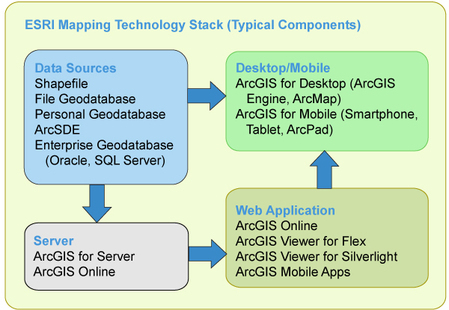 Our team has experience in setting up ESRI-based systems for many customers, as well as in helping them operate, maintain, and upgrade their enterprise GIS---from database design to migration through multiple iterations of the ESRI product suite. 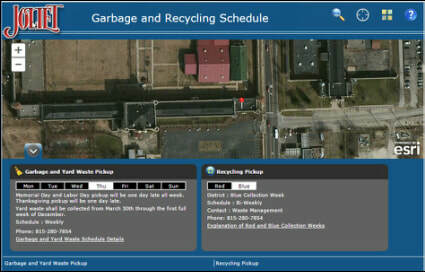 One of the ArcGIS Online apps that we developed for the City of Joliet gives users a quick way to find their current schedule for garbage and recycling pickup. A location can be identified by simply clicking on the map, or by entering and searching for an address. The Joliet General Map gives City staff access to a wide array of geographical information and search functions.